Plus 2°C in 2052. What to do? I am a climate pessimist. I believe (regrettably) that humanity will not meet the climate challenge with sufficient strength to save our grandchildren from living in a climate-damaged world. Humanity (regrettably) will not make what sacrifice is necessary today in order to ensure a better life for our ancestors forty years hence. The reason is that we are narrowly focused on maximum well-being in the short term. This short-termism is reflected in the systems of governance that we have chosen to dominate our lives: Both democracy and capitalism place more emphasis on costs today that on benefits forty years in the future. ABC TV's Lateline programme is schedule to discuss climate geo-engineering tonight, a debate that is long overdue. Suggesting that climate geo-engineering – such as top-of-atmosphere sulfate injections to reduce incoming solar radiation as a temporary measure until the world gets its act together to avoid the big global warming tipping points – might be necessary is as popular in the environment and climate movements as farting in the middle of a slow movement at a concert. 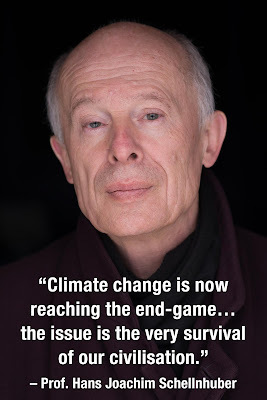 Almost everybody is keen to rail against it, such as Climate Authority member Clive Hamilton in The Philosophy of Geoengineering. I have yet to hear a climate or environment advocacy group in Australia even say that we should at least consider the issues on their merits. There's lots of reasons to be worried about the ideas – and reasons why we need to consider them – as has been canvassed recently in Nature, on the BBC, on NPR, in the Guardian, and in many scientific papers including here, here, here and here, for example. 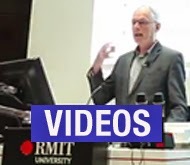 Intro: Jorgen Randers of the Norwegian Business School is the author of the just-published "2052: A Global Forecast for the Next Forty Years" and a co-author of the 1972 Club of Rome report on "Limits to Growth". Forty years on from its publication, it has proved to be very prescient. In his new book, Randers looks forward by uses a wide array of data and expert elicitations as the basis for dynamic economic-ecological modelling of the world as he thinks in will be in another 40 years. 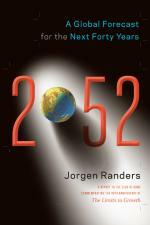 This is the first of three short articles by Randers which explore aspects of his 2052 prognosis. A year ago, I sat down to find out what will happen to my beloved world over the next 40 years. 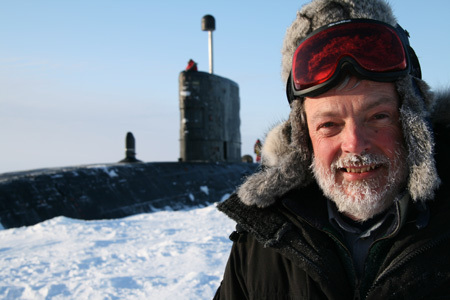 I’ve worked a lifetime promoting sustainability – sadly, with limited success – and I wanted to know whether I should continue worrying about the future during my final 20 to 25 years on planet Earth. Levels of the potent greenhouse gas methane have been recorded at more than three times their normal background levels at coal seam gas fields in Australia, raising questions about the true climate change impact of the booming industry. 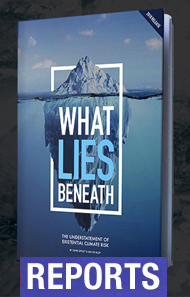 The findings, which have been submitted both for peer review and to the Federal Department of Climate Change, also raise doubts about how much the export-driven coal seam gas (CSG) industry should pay under the country's carbon price laws. Southern Cross University (SCU) researchers Dr Isaac Santos and Dr Damien Maher used a hi-tech measuring device attached to a vehicle to compare levels of methane in the air at different locations in southern Queensland and northern New South Wales. The gas industry was quick to attack their findings and the scientists themselves. We are talking here at best a steady-state economy. The analysis that I and colleagues in the Tyndall Centre have undertaken would suggest there probably has to be a reduction in our consumption and an economic contraction. Study: Predicted 6ºC Rise by 2100 Should End "Business as Usual"
'This isn't about shock tactics, it's simple maths' says global accounting firm. 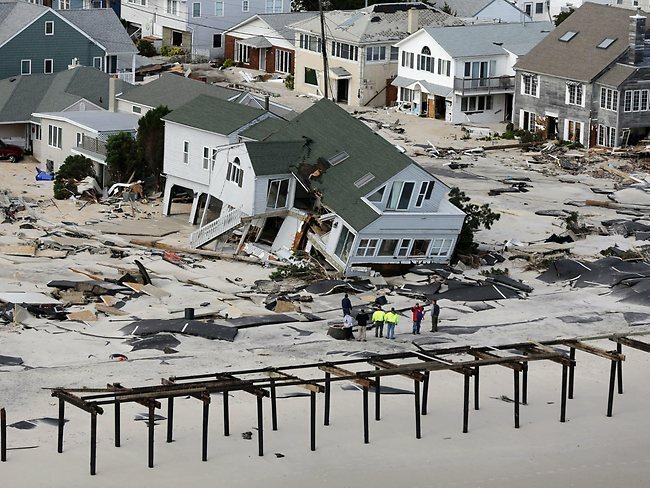 As Hurricane Sandy battered the East Coast this week, meteorologists and climate scientists were repeatedly asked to explain what role climate change played in amplifying the storm. We did our best to answer: We know that a warming climate puts more energy into storms, including hurricanes, loading them with more rainfall and the stronger winds pushing more of a storm surge. That makes flooding more likely. We also know that storm surge now rides higher on sea levels that have risen over the last century due to global warming, amplifying losses where the surge strikes. On the stretch of the Atlantic Coast that spans from Norfolk to Boston, sea levels have been rising four times faster than the global average. Overall, we know that climate change has stacked the deck so that this kind of event happens more frequently. That answer, however, prompts a deeper, more unsettling question that many want to know: is climate change worsening some recent extreme weather events like super storm Sandy? These frank words about the Frankenstorm are perhaps long overdue in light of the general failure of American politicians to show leadership on this issue. 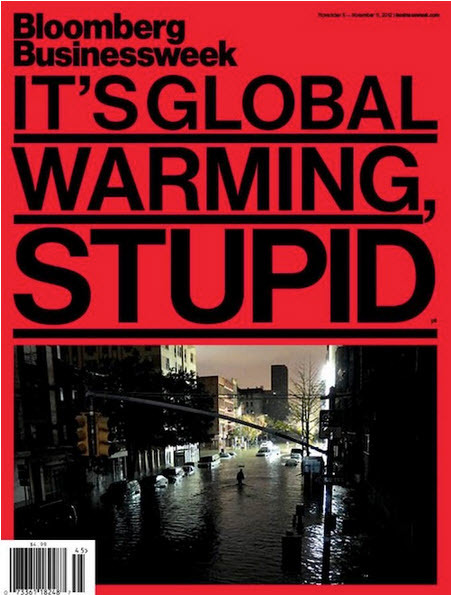 But is it really a matter of mere “stupidity” to deny the link between climate change and Sandy’s fury — a link that has been drawn carefully but quite explicitly by scientists around the world, including in Australia? No, it is not a matter of stupidity. Given the unprecedented nature of this event, many people are asking whether it was caused by or its impacts amplified by global warming, and many others are of course trying to deny any hurricane-climate links. There is actually a fairly simple answer to this question: human-caused climate change amplified the hurricane's impacts. As officials begin the arduous task of pumping corrosive seawater out of New York City’s subway system and try to restore power to lower Manhattan, and residents of the New Jersey Shore begin to take stock of the destruction, experts and political leaders are asking what Hurricane Sandy had to do with climate change.